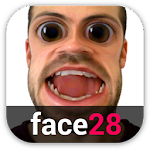 • Face Warp Camera - apply funny face warp effects on your video. Ugly Camera. 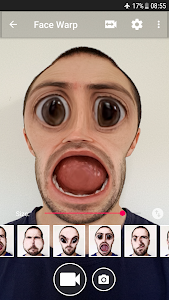 • Face Swap - Face Swap Live. Swap faces between 2 people. 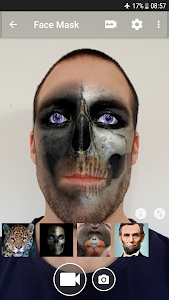 • Face Mask - Animal live face filters, Skeleton video face filters and more. 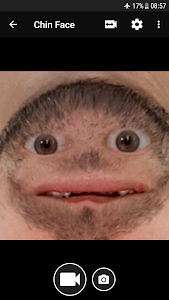 Live Animal Face Swap. • Face Blend - Blend two faces into one. 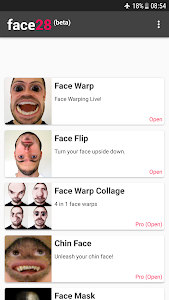 • Chin Face - Turns your face upside down, and put your eyes on your chin. 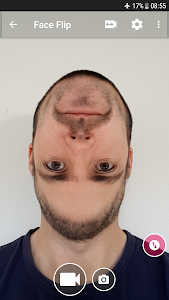 It's a bit weird, but give Chin Face a try! 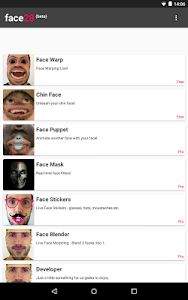 • Face Puppet - Move your mouth to animate another face using your face. 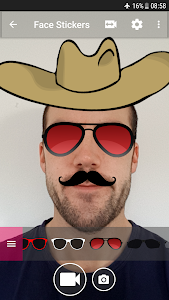 • Face Sticker - Add face stickers (hats, glasses, moustaches etc.) to your selfie videos. 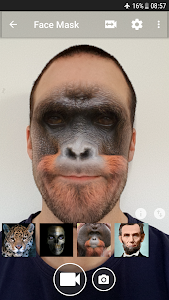 • Developer - Demonstration of our real time face detection and 68 point live face tracking algorithm. 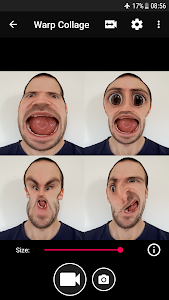 • Funny Face Changer Camera - Change your face as you record a video seflie. • Record videos or take a photo. • Save and share videos and photos. 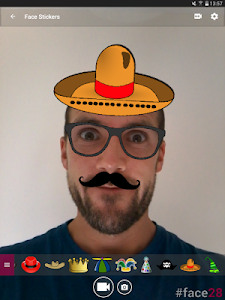 • The best, free Selfie camera app with funny face effect and live face filters. Similar to "Face Changer Video"